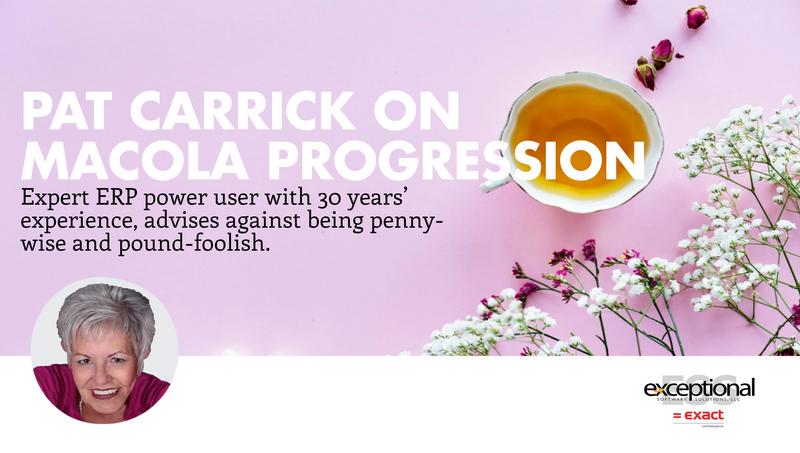 Pat Carrick, ERP software expert shares sage advice for Macola Progression users. Buckle up. It’s a power-packed ride. It’s tough to sit down with one of our consultants because they’re always caring for clients, but we recently had a chance to have coffee with Pat. We’re frankly blown away by Pat’s experience and all she’s seen and done, and we’ve asked her to share her wisdom so that we can all learn from it. Because she’s got more than 30 years of experience under her belt, we’re breaking our conversation with Pat into two parts for you. Part one speaks to all those accounting teams running ERP systems. Part two has something for all ERP users. Pat started using Exact ERP software back in 1987 — it was called Progression back in the day. Pat was the controller at the company and was the driving force behind bringing the software into use. She implemented Macola Progression on the sales side and soon expanded it to all of the manufacturing operations. Business has changed since then. 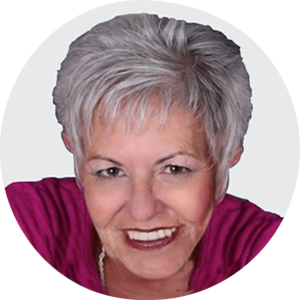 Pat has transformed clients from Macola Progression into Macola ES and now into Macola 10, and she has remained a steadfast consultant to bring clients the new technology. The road to Macola 10. As a consultant, Pat’s main focus these days is upgrading clients to Macola 10. Many businesses are simply outgrowing their current systems. Some are running a simple QuickBooks operation, but as their businesses grow, their operations and data are growing too. They’re rapidly outgrowing their current software environment. Pat says clients want much more data insight than they’ve had in the past. They want to know where their manufacturing operations are the strongest — and the weakest — and they want to know how efficient their manufacturing processes really are. They want information on everything from the shop floor to standard routings, and that is where Macola 10’s full manufacturing modules come into play. Some of Pat’s other accounts are distribution companies that need light shed on their POP (production order processing). They don’t want guesswork. They want to understand detailed analytics that provide insight into their operations, so they use Macola 10’s superb OE modules to glean details regarding what their customers are buying. Getting a healthy dose of analytics. “Clients know they need analytics. Macola 10 links inventory modules, customer maintenance modules and sales history together to provide that depth of insight,” Pat says. She explains that Macola 10 gives these clients all the information they need to analyze where their growth has come from — whether it is from a small localized region or international growth from new consumer countries. Where is my growth? What are my most profitable products? Do I need a loss leader? Macola 10 helps to answer these questions. Macola 10 easily provides this information, while Macola Progression is not very friendly in this regard. Clients can’t easily send data to Excel for things to be analyzed. Yet for those still on the system, the Exceptional Software Solutions, LLC team can help Progression clients by creating SQL views and pivot tables to see existing data in different ways. To upgrade, Pat typically works with the IT or accounting departments, both of which are usually intimately involved in an analysis to determine whether to upgrade. Both groups also tend to have the president’s ear about these matters. Yes, you need to upgrade. Certainly, companies ask the question, “Do we need to upgrade?” Intuitively, companies know the answer is yes. Most already know their pain points and the day-to-day issues that hamper productivity and drive everyone crazy. Macola 10 eases accounting burdens with a click of a button. Here’s one example: The accounts receivable department wants AR aging data to easily export to Excel so they can send it to accountants, CPA firms or other internal users. Progression doesn’t do this easily. In Macola 10, however, it happens with the click of a button. “CFOs and controllers look at features like that. It doesn’t come out in a crystal report like Progression. In Macola 10, the data goes straight to Excel — ready to use. And they love it!” Pat explains. She uses another example: “Controllers want to analyze a particular customer. Macola 10 has customer cards; users can see invoicing and purchase orders and payments — everything about that customer — and they can easily export to Excel and do analytics. From an analytics standpoint, Macola 10 is superior for accounting.” Progression, on the other hand, has a customer view — you can see a bit of data but the system is simply not as robust at Macola 10. Budget is always a factor. Pat says upgrading is often not a question of should I or even a question of risk. In her experience, the decision to upgrade is based on budget considerations. (There’s also a bit of fear of the unknown that factors into the decision.) Pat says that when comparing Macola Progression and Macola 10, the distribution and manufacturing are more similar. It are the accounting modules that have seen the biggest change; they’re dynamically different between the two products. 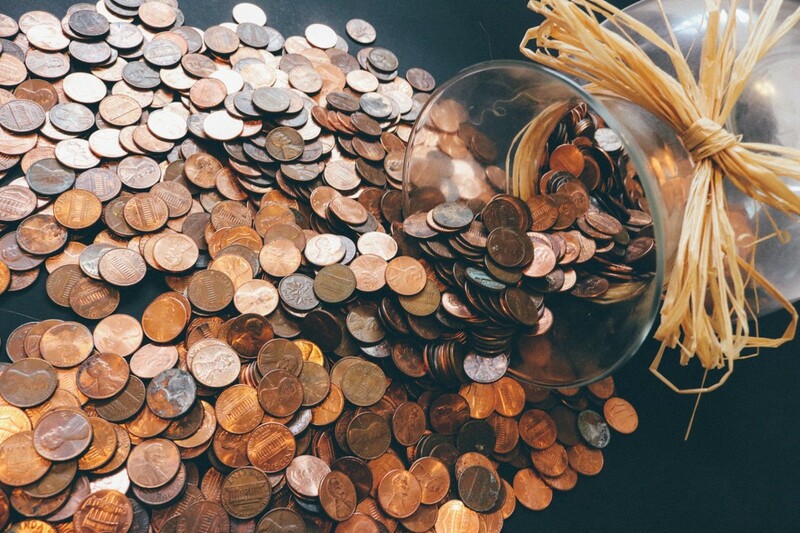 Don’t be penny wise and pound foolish when considering ERP upgrades. 1. Time. It takes time to get budget approval, particularly in large manufacturing firms. IT needs to budget far in advance, and they need to make sure they’re including everything they’ll need in that budget projection. As an ESS consultant, Pat strives to ensure that her clients succeed. She helps them put together an all-inclusive budget that often includes significant hardware upgrades. “Workstations that run Progression don’t have a lot of memory. Macola 10 won’t work on this old infrastructure so clients often need to factor in fairly significant hardware and server upgrades to accommodate the memory and resources required by Macola 10. We’re honest with our customers. We don’t recommend the bare minimum — we advise them on the infrastructure they’ll need to stay the course and successfully upgrade,” Pat says. 2. Retirement. Business owners who are considering selling their companies don’t want to make the capital investment for Macola 10 because they believe they won’t reap the returns on that investment. But they will. Great brands with solid technology infrastructures have higher valuations because they are ready to explode — not simply just keep operating. 3. Legacy. Children assuming the reins of family businesses often aren’t aware of Macola 10’s robust functionality. Some customers have made a significant investment in Progression and are simply hesitant to change. “The new management may not know Macola 10, but they know they don’t like Progression. It’s my job to make sure they understand they won’t lose their data history when making the upgrade,” Pat says. Plan your FY’18 Q3 budget now. Many of Pat’s clients have made the decision to upgrade, and she’s working with them now on Q3 budget planning. Why did they bite the bullet? 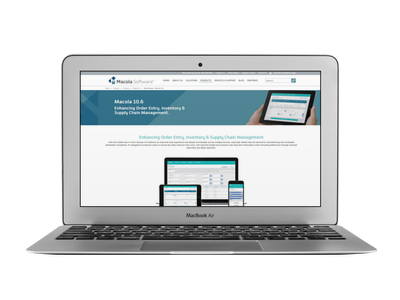 Companies want the advantage of Macola 10’s superior reporting capabilities. Companies are strapped for resources and time. 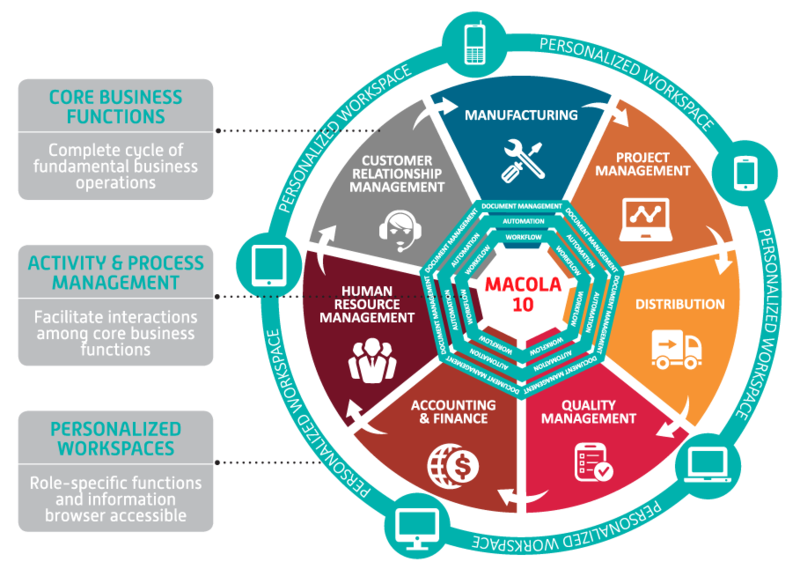 Macola 10 is user friendly and synergistic. Dashboards help controllers see the data and create reports. They no longer have to spend their time to custom produce each report for a different stakeholder. These departments see that they can work so much more efficiently and effectively in Macola 10. 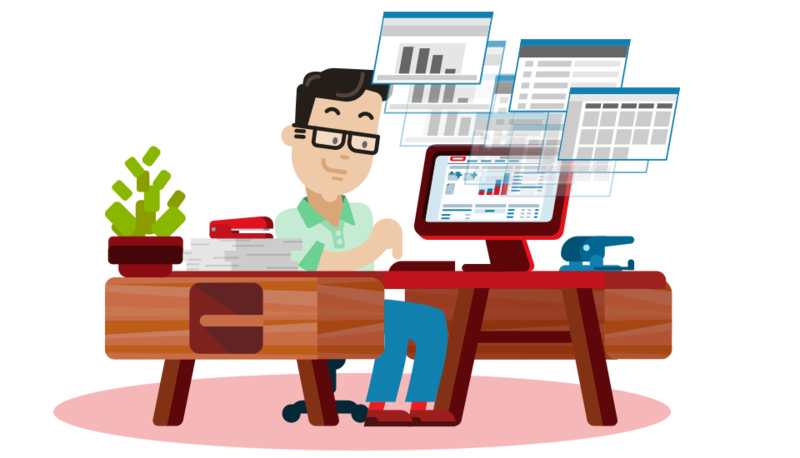 Reports are easily dispersed to people who need the information, freeing up the controller’s time for more important tasks. Stay tuned for part two. Pat will be sharing tactics, tips and advice on how to make upgrading a breeze.